The enfant terrible of the Indian startup ecosystem has finally had enough of startups. 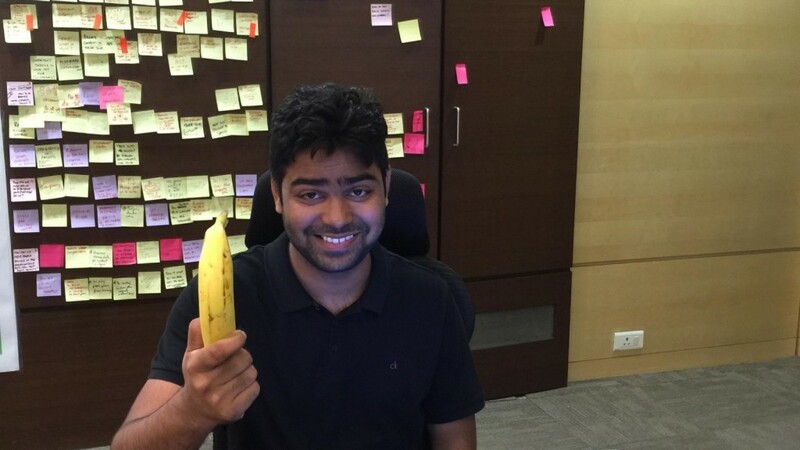 Rahul Yadav, who’d shot to fame during his tussles with his board as Housing CEO, has now decided to take up a corporate job. Yadav will now serve as the Chief Technology and Product Officer of ANAROCK Property Consultants, a real estate brokerage, investment and fund platform. He will be responsible for the development of a technology-driven online brokerage platform for the venture that would eventually attract international investments, ET reports. “I consider my appointment as Chief Product & Technology Officer at ANAROCK Property Consultants the logical next step in my career, and it is of course a complete privilege to work with an outstanding industry leader like Anuj Puri,” said Yadav. This marks a pause to the entrepreneurial ambitions of Yadav, who’d captivated Indian startup founders with his wild moves and bold proclamations. While he was serving as CEO of Housing, he’d written a letter to his board, calling them “intellectually incapable”, and had publicly feuded with Sequoia VC Shailendra Singh, warning him that he would mark “the beginning of the end of Sequoia Cap in India.” He’d also taken on the Times Group, claiming that their coverage of Housing was biased in favour of their Housing-competitor, MagicBricks.com. But in perhaps his most memorable move, he’d pledged to distribute his entire stake in Housing.com — worth Rs. 150 crore — among his employees. He’d said he was too young to worry about money, and had instantly become the darling of several young entrepreneurs, who began following his every move. Yadav, though, had been eventually fired from Housing. His unceremonious ouster had caused him to announce that he was creating a startup that would be unlike anything the Indian startup industry had ever seen, and would be “10x” bigger than any Indian startup. He’d seemed to make the right moves, raising funding from big names including Flipkart founders Sachin Bansal and Binny Bansal, Paytm founder Vijay Shekhar Sharma and even cricketer Yuvraj Singh. But his venture, called Intelligent Interfaces, folded soon after, with some media reports alleging he’d spent all the funding on a trip to the US. But Yadav’s return to corporate life seems to mirror how Indian startups have fared over the last few years. In 2015, funding was abundant, and people had quit their jobs in droves to join the startup bandwagon. Things, however, soured a couple of years later — with few noteworthy exits to speak of, funding dried up, leading to firings, shutdowns, and much heartbreak. Starting up wasn’t as cool as it had been, and everyone from B-School graduates to engineers started going back to traditional jobs. In a sense, Yadav’s entrepreneurial journey captures the ebbs and flows of the Indian startup ecosystem — the heady highs of 2015, followed by the sobering lows of the last year.